In much the same manner that the medieval fusion of Judeo-Christian theistic belief with Greco-Roman philosophical resources gave Western civilization its conscience and moral structure, its sense of duty and responsibility, its love of freedom within a respect for the rule of law, its model of self-sacrifice in response to need or in confrontation with evil, its basic principles of decency and its self-confident backbone in world affairs, so too it laid the historical foundations for Western science and technological success. The socioeconomic and political developments that were brought to life and nurtured in the cradle of the Judeo-Christian worldview that dominated medieval European society provided fertile metaphysical, epistemic, sociocultural and economic ground for scientific theorizing and experimentation. Advances in land and sea transportation, along with the diversification and specialization in the production of goods taking place at Christian monasteries across Europe, the ensuing transition to a cash economy, and the advent of laws protecting private property from monarchic usurpation, led to the rise of a commercial class and the establishment of banks and insurance companies that freed capital for investment and entrepreneurial use (Baldwin 1959; Gordon 2011b; Noonan 1957; Richards 2009; Stark 2005). This growth in political stability and economic prosperity provided an environment that nurtured scholarly activity and notable advances in scientific knowledge and technology, mostly through the efforts of scholastics in the context of the universities they had established for the advancement of learning and the dissemination of research and scholarship. The medieval invention of the printing press further galvanized literacy and the spread of knowledge, contributing another indispensable condition for the exponential expansion of the sciences and humanities in the sixteenth century. It is therefore reasonable to regard the “Renaissance” and the “Enlightenment” as natural extensions of progress that had been made in the medieval period under the economic, political and creative impetus of Christianity, rather than as a sudden break with medieval modes of thought. But is there anything beyond this that catalyzed the growth of scientific knowledge? Is there any point of discontinuity between the “scientific revolution,” so called, and the steady progress in scholastic science that gave rise to it? Four hypotheses have been put forward in the attempt to capture a key difference between medieval and modern science: the role of mathematics in modern science, the role of the experimental method in modern science, the rise of the mechanical philosophy in modern science, and the modern emphasis on techne as a scientific goal as opposed to the Aristotelian and medieval focus on episteme (Lindberg 2007; Dear 2001). On historical examination, the first two hypotheses are easily seen to be false (Lindberg 2007; Gordon 2011b), but the continuity between medieval and modern science in respect of the third and fourth, while not as obvious, is still there. We discuss the third and discover that the fourth folds neatly into the picture of continuity that emerges. In contrast to the four-fold Aristotelian doctrine of causes that dominated medieval scholasticism, the mechanical philosophy is often said to have reduced all natural causality to efficient and material causes, setting aside the notions of formal and final cause. There is a methodological sense in which this is true and another, metaphysical sense, in which it is not. When mechanism is invoked, the formal cause remains in the design of the mechanism and the final cause remains in the purpose the mechanism was created to serve; the difference arises from the non-Aristotelian way in which the mechanical philosophy is applied, since formal and final causes are in the background and the focus is on the search for an explanation in terms of the material implementation of an efficient mechanism. This latter concern also reveals an interest in techne (the capacity to predict and control) in addition to the desire for episteme (knowledge that is intellectually certain). David Lindberg (2007) seems to suggest that the mechanical philosophy was somehow a direct revival of the Greek atomism of Leucippus, Democritus, and Epicurus, mediated by the Latin writings of Lucretius, Diogenes Laertius, and Cicero. But while random collisions of atoms in the void certainly constitute a series of events conforming to efficient material causality, the metaphysical picture lacks any order, and thus fails to have the requisite metaphysical and epistemological connection to the developmental flow of Christian thought from which the mechanical philosophy is derived. The connection between Greek atomism and the mechanical philosophy of the modern period, evinced in the thought of Pierre Gassendi (1592-1655) and others, is rather one of opportunistic appropriation more than formative conceptualization. That this is so is evident from the fundamental structural changes and transcendent teleology with which Gassendi imbued Epicurean metaphysics (Clatterbaugh 1999). The move beyond Aristotelian scholasticism represented by the mechanical philosophy was already under way in the philosophical and theological discussions of the time and did not need Greek atomism to catalyze it. The path to the partial “disenchantment” of the world that the mechanical philosophy represents sprang from the nominalistic rejection of universals associated with radical divine voluntarism—this is especially true for Descartes—and the insulation of the self from mystical rites and sacred relics effected by the Protestant Reformation’s rejection of Roman Catholic sacramentals. While this was conceived by Reformational theologians as an expansion of the sacred to all of reality, in the long term, at least for some, it had the unintended consequence of a broad desensitization to the sacred by rendering it commonplace (Gordon 2011b; Moonan 1994; Osler 1994). Be this as it may, it should also be noted that the role of nominalism in this development, though embraced by Descartes, was not an essential part of the path to the mechanical philosophy, and it was not embraced by many others who pursued mechanical explanations (Gillespie 2008; Gordon 2011b; Hedley and Hutton 2008; Moonan 1994; Osler 1994). So what is the missing piece in this transitional puzzle? There is another historical aspect to the appearance of mechanical explanations that has not, to my knowledge, been much emphasized at all. It should be. This is the immense flowering of technological progress and mechanical invention throughout the medieval period (Gies and Gies 1994; Gimpel 1976; Stark 2003). The realm of technological invention is an aspect of human ingenuity to which intellectual historians are often blind, but which radically influences our experience of the world. The conceptual theological connection that needs to be made here is simple: human beings invent machines to aid in the accomplishment of human purposes, and human beings are created in the image of God. Since God is the creator and artificer of reality as a whole, and since he designed the world for the accomplishment of his purposes through the transcendent imposition of order upon it, we should expect to find divine analogues of human technology in nature itself. This is clearly part of the perspective of Robert Boyle (1627-1691), and it is arguably an element in the thought of many advocates of the mechanical philosophy. In fact, this current of thought—by way of allusions to the “divine clockmaker”— is found at least as far back as Richard of Wallingford (1292-1336) and Nicole Oresme (1325-1382). Mechanical clocks were invented in England and Italy around the same time and in short order not only pushed medieval European civilization into first place worldwide with respect to technological sophistication, but also captured the Christian imagination with the idea of the Universe as a machine engineered by God. The earliest historical mention of a mechanical clock in Europe dates from 1273 in the English town of Norwich (North 2007; Hannam 2011), but clock-making rapidly increased in technological sophistication, due in no small part to the efforts of Richard of Wallingford. Wallingford’s clock, which was built for the abbey church of St. Alban’s, had a face that was a giant astrolabe with an orbiting Sun and Moon rather than hour and minute hands. It also provided the timing of the tides at London Bridge, which was the nearest major port. Richard carefully recorded how the mechanism was put together and his manuals still exist in the Bodleian Library at Oxford and were used to create a modern reconstruction of his clock. The bottom line, of course, is that with the creation of such clocks, the idea that the Universe itself might also be engineered soon infused the medieval mind. 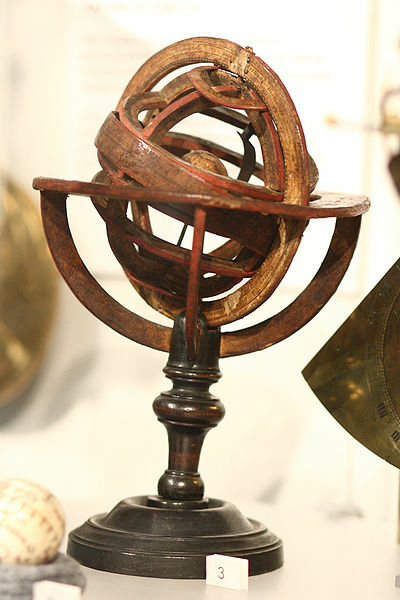 As James Hannam states, “The world as machine was not a new concept, but because the mechanical clock could power an armillary sphere, which showed the relative positions of the planets, it made the analogy explicit. Before long, the idea that the heavens themselves were like a clock with their own divine clockmaker took root in the Christian imagination” (Hannam 2011). Thus it was, by the mid-1300s, that Nicole Oresme at the University of Paris would remark that God’s creation “is much like that of a man making a clock and letting it run and continue its own motion by itself” (Crosby 1997). Indeed, this was a standard view. The move to mechanical explanation was thus the natural historical confluence of medieval reflection on divine providence with the progress made throughout the Middle Ages in machine technology. To put the same point another way, the medieval concern for techne, as opposed to mere episteme, was evinced in the many practical inventions of the period, and these inventions, in their theological context, encouraged both the Baconian emphasis on techne as the goal of science and the rise of the mechanical philosophy. When this idea of mechanical explanation was applied to natural investigation—which seems inevitable in that cultural context—it was found to be fruitful beyond anything that could have been imagined, especially in matters of prediction and control (techne). So the exponential seventeenth century flowering of physics did not really constitute a revolutionary break with medieval science at all. It was rather a continuous logical outworking—derived from developments in scholastic philosophical theology and medieval technological invention—that reached its consummation in this historical period because the socioeconomic, political and educational soil of the broader culture was properly cultivated for it to blossom. An irony, of course, is that the scientist regarded as the poster child for the fruitfulness of the mechanical philosophy, Isaac Newton (1642-1727), did not himself adhere exclusively to the metaphysics of efficient material causation associated with it. Newton redirected the mechanical philosophy from a pre-occupation with corpuscularianism and contact mechanisms to a consideration of forces, the mathematical treatment of which does not require any account of their provenance—a circumstance on which he famously remarked in the General Scholium to the Principia, “hypotheses non fingo.” Indeed, one of his supreme scientific achievements, the theory of universal gravitation, was not a mechanical explanation at all, but rather a fruitful mathematical description of phenomena on the basis of a postulated gravitational force that acted at a distance and permitted very precise predictions of astronomical events. As a theist, Newton was not greatly bothered by this state of affairs, since he regarded God as being integrally involved in the quotidian course of nature. This does not in any way abrogate the theistic basis for the mechanical philosophy, nor does it impugn its historically evident fecundity; rather it emphasizes the conceptual point that, unlike materialism, theism is not bound to mechanical explanations by metaphysical necessity, and it gives evidence of the fact that non-mechanical theories can also be scientifically fruitful, especially in matters of prediction and control (techne). What should therefore be observed—especially in respect of Newton’s theory of universal gravitation—is that it was precisely his rejection of methodological naturalism in conjunction with his mathematical genius that enabled him to follow the course that he did, and to revolutionize physics and astronomy. As a consequence, gravitational theory proceeded quite happily without a “mechanism” for well over two centuries until Einstein provided one in the general theory of relativity: mass-energy affects the structure of space-time through gravitational waves propagating at the speed of light. Of course, quantum theory has undone all of this (Feynman diagrams as aids to computation and visualizability are mere expedients). What is basic to quantum field theory and essential to its empirical adequacy are (1) nonlocal action-at-a-distance and instantaneous quantum jumps that defy any conception of efficient material causality, and (2) statistical descriptions and principles of superposition that cast aside anything even vaguely reminiscent of individuatable material substances with intrinsic identities. So if, as most physicists believe, the reconciliation of general relativity with quantum theory will come through the quantization of gravity, all of these basic quantum-theoretic consequences will reassert themselves in gravitational phenomena. Non-mechanical mathematical description—and arguably Newton’s conception of an ineliminable divine hand in the quotidian course of nature—has been irreducibly revivified at the most fundamental “physical” level. It is a harbinger of a re-establishment of the recognition that the bedrock reality is, and always has been, personal and immaterial and eternal, rather than impersonal and material and transitory (Gordon 2011a). I do not think, however, that I have even yet brought out the greatest contribution of medievalism to the formation of the scientific movement. I mean the inexpugnable belief that every detailed occurrence can be correlated with its antecedents in a perfectly definite manner, exemplifying general principles. Without this belief the incredible labours of scientists would be without hope. It is this instinctive conviction, vividly poised before the imagination, which is the motive power of research: that there is a secret, a secret which can be unveiled. How has this conviction been so vividly implanted in the European mind? When we compare this tone of thought in Europe with the attitude of other civilisations when left to themselves, there seems but one source of its origin. It must come from the medieval insistence on the rationality of God, conceived as with the personal energy of Jehovah and with the rationality of a Greek philosopher. Every detail was supervised and ordered: the search into nature could only result in the vindication of the faith in rationality. Remember that I am not talking about the explicit beliefs of a few individuals. What I mean is the impress on the European mind arising from the unquestioned faith of centuries. By this I mean the instinctive tone of thought and not a mere creed of words (Whitehead 1925). As shocked as his audience was, Whitehead was completely right and modern secularism, which has forgotten its intellectual debt to Christianity, stands as much in need today of being reminded of it as it was in Whitehead’s time. What is more, it can be argued that modern secularism, by forsaking a worldview in which the universe is intelligently ordered and therefore amenable to the human mind, has lost any entitlement to the objectivity of human “knowledge” or the prospect that science itself is a rational and truth-conducive enterprise (Beilby 2002; Goetz and Taliaferro 2008; Gordon 2011b; Lewis 1947; Plantinga 2011; Rea 2002). Baldwin, J. (1959). The Medieval Theories of Just Price. Philadelphia: The American Philosophical Society. Beilby, J., (ed.). (2002). Naturalism Defeated? Essays on Plantinga’s Evolutionary Argument against Naturalism. Ithaca: Cornell University Press. Clatterbaugh, K. (1999) The Causation Debate in Modern Philosophy 1637-1739. New York: Routledge. Crosby, A. (1997). The Measure of Reality: Quantification and Western Society, 1250–1600. Cambridge: Cambridge University Press. Dear, P. (2001). Revolutionizing the Sciences: European Knowledge and Its Ambitions, 1500-1700. Princeton: Princeton University Press. Gies, F. & Gies, J. (1994). Cathedral, Forge, and Waterwheel: Technology and Invention in the Middle Ages. New York: HarperCollins. Gillespie, M.A. (2008). The Theological Origins of Modernity. Chicago: University of Chicago Press. Gimpel, J. (1976). The Medieval Machine: The Industrial Revolution of the Middle Ages. New York: Penguin Books. Goetz, S. & Taliaferro, C. (2008). Naturalism. Grand Rapids, MI: Eerdmans. Gordon, B. L. (2011a). ‘A Quantum-Theoretic Argument against Naturalism,’ in B.L. Gordon & W.A. Dembski (Eds. ), The Nature of Nature: Examining the Role of Naturalism in Science (pp. 179-214). Wilmington, DE: ISI Books. _____. (2011b). ‘The Rise of Naturalism and Its Problematic Role in Science and Culture,’ in B.L. Gordon & W.A. Dembski (Eds. ), The Nature of Nature: Examining the Role of Naturalism in Science (pp. 3-61). Wilmington, DE: ISI Books. Hannam, J. (2011). The Genesis of Modern Science: How the Christian Middle Ages Launched the Scientific Revolution. Washington, D.C.: Regnery Publishing, Inc.
Hedley, D. & Hutton, S. (Eds.). (2008). Platonism at the Origins of Modernity: Studies on Platonism and Early Modern Philosophy. New York: Springer. Lewis, C. S. (1947) . Miracles. New York: Macmillan. Lindberg, D. C. (2007). The Beginnings of Western Science: The European Scientific Tradition in Philosophical, Religious, and Institutional Context, Prehistory to A.D. 1450 (2nd Edition). Chicago: University of Chicago Press. Moonan, L. (1994). Divine power: The medieval power distinction and its adoption by Albert, Bonaventure, and Aquinas. Oxford: Oxford University Press. Noonan, J.T. (1957) The Scholastic Analysis of Usury. Cambridge: Harvard University Press. North, J. (2007) God’s Clockmaker: Richard of Wallingford and the Invention of Time.. London: Hambledon & London. Osler, M. (1994). Divine will and the mechanical philosophy: Gassendi and Descartes on contingency and necessity in the created world. Cambridge: Cambridge University Press. Plantinga, A. (2011) Where the Conflict Really Lies: Science, Religion, and Naturalism. New York: Oxford University Press. Rea, M. (2002). World without Design: The Ontological Consequences of Naturalism. Oxford: Clarendon Press. Richards, J. (2009). Money, Greed, and God: Why Capitalism is the Solution and Not the Problem. San Francisco: HarperOne. Stark, R. (2003). For the Glory of God: How Monotheism Led to Reformations, Science, Witch-Hunts, and the End of Slavery. Princeton: Princeton University Press. _____. (2005). The Victory of Reason: How Christianity Led to Freedom, Capitalism, and Western Success. New York: Random House. Whitehead, A.N. (1925) . Science and the Modern World. New York: The Free Press.